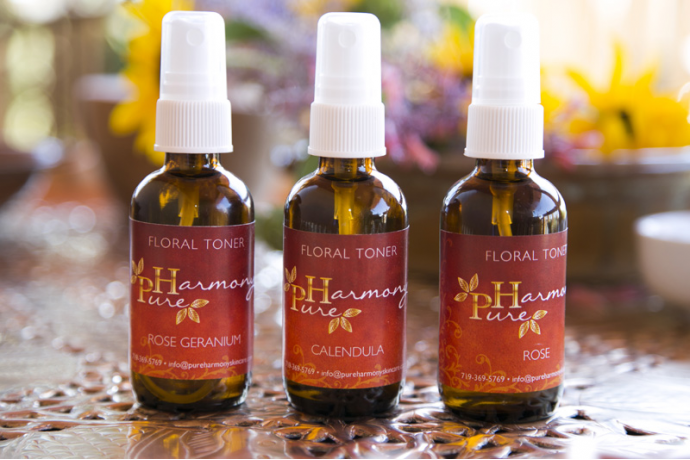 Pure Harmony Floral Toners are true steam distilled hydrosols. These wonderful floral waters have all of the amazing, beneficial properties of the plant, just like essential oils but much less concentrated. These toners nourish, sooth and heal skin and have aromatic qualities to calm and refresh the mind. 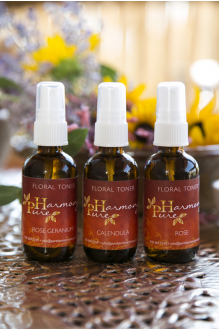 Rose Geranium Floral Toner: Amazingly effective for quickly restoring balance to complex and comb..
Rose & Calendula Floral Toner: The best of both worlds. A wonderful toner for all skin types/..
Calendula Floral Toner: An outstanding healing tonic for sensitive, irritated skin. 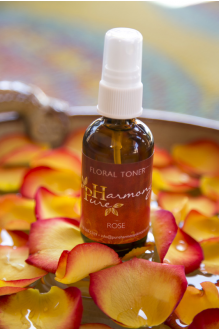 Beneficial fo..
Rose Floral Toner: A refreshing and balancing skin tonic suitable for all skin types. Rose penetr..